"With his Retrospections, Jean-Pierre Louveton offers himself refreshing parentheses, perhaps less sophisticated than his more "conventional" productions, but not without interest for those who like to follow the artist in his many facets." Begun in 2008, the exhumation of archives and other unpublished titles of Jean-Pierre Louveton (JPL) saw the publication of a third part in 2018, barely two years after his predecessor where it had taken 8 years between the first two volumes of the series. 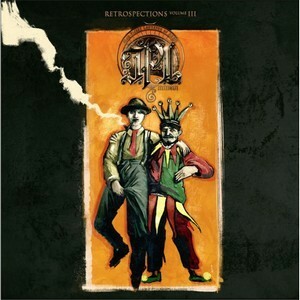 Composed of pieces that have remained at the bottom of a drawer, old titles already published and completely d or new compositions, these "Retrospections" see JPL produce a very personal music, somewhat different from his works published on his last two solo albums which sound more like a group work. Accompanied by the only Jean-Baptiste Itier (Nemo), still as good behind his drums, while also offering a solo to Thibault Maurin, JPL takes care of everything else, and he does it quite well. Inevitably, the guitar plays the central role in all the compositions and its performer shows us once again that he is a great musician, not hesitating to trigger rough riffs that are sometimes very intrusive ('Luvmoovs', "A Finger on the Trigger") but also very melodic like a Joe Satriani ("No Speed Limit"), all carried by rhythms including some ruptures of good quality or integrating an odd mechanics to keep in touch with the progressive sphere. These protrusions could be confined to the caricature of "guitar-hero" albums, but our artist avoids the trap by varying the styles, the sounds, and by accompanying all this with a few sung parts, however far from being the majority. These pieces thus release a raw energy, more direct than the compositions usually offered by JPL in its group productions. The progressive aspects are mainly found on two titles that would not have separated "MMXIV" or "The White Paper". First of all, "A Strange Idea", with its chorus with an unstoppable melody, proposes a first strong moment, while "Mes Heures Sombres" is revealed as the most accomplished piece, both in its developments made possible by its duration and in its careful realization, allowing a listening on several levels well in the more traditional spirit of our artist. With his "Retrospections", Jean-Pierre Louveton offers himself refreshing parentheses, perhaps less sophisticated than his more "conventional" productions, but not without interest for those who like to follow the artist in his many facets. This third volume is thus in line with its predecessors. With his Retrospections, Jean-Pierre Louveton offers himself refreshing parentheses, perhaps less sophisticated than his more "conventional" productions, but not without interest for those who like to follow the artist in his many facets.